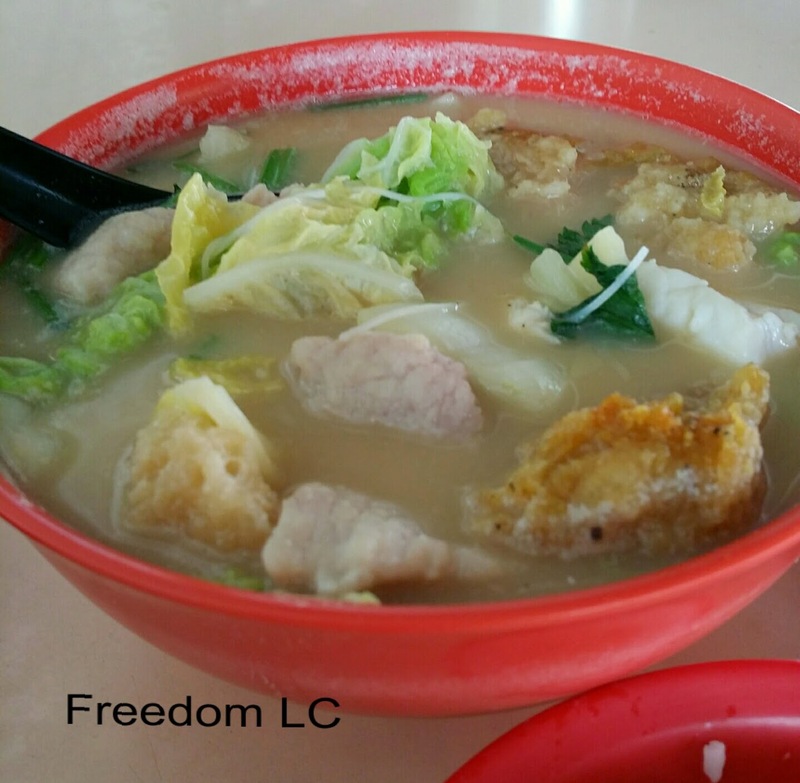 Craving for fish soup today? I am going to recommend this fish soup stall to you. There is no stall name display at this stall. You can locate this stall in a coffeeshop at Blk 127 Bukit Merah Lane 1. 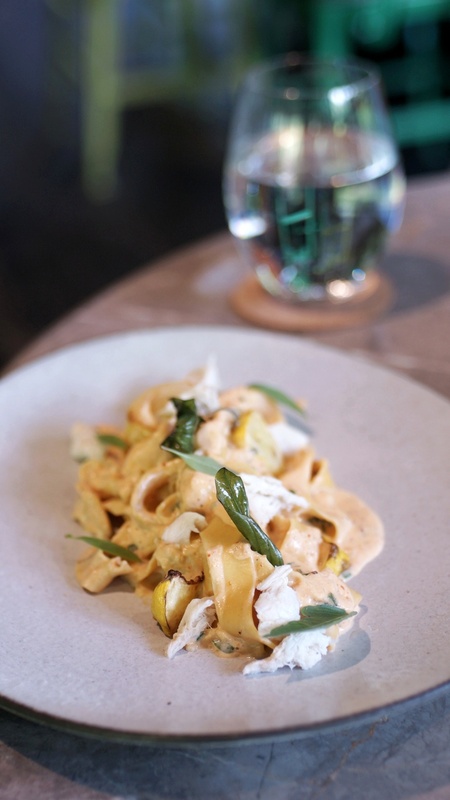 You must be patience enough to wait at least 10 - 15 mins in the queue and prepare to serve food on your own. This fish soup stall was managed by a middle-aged couple. Male stall owner in-charge of cooking and female stall owner taking down orders. 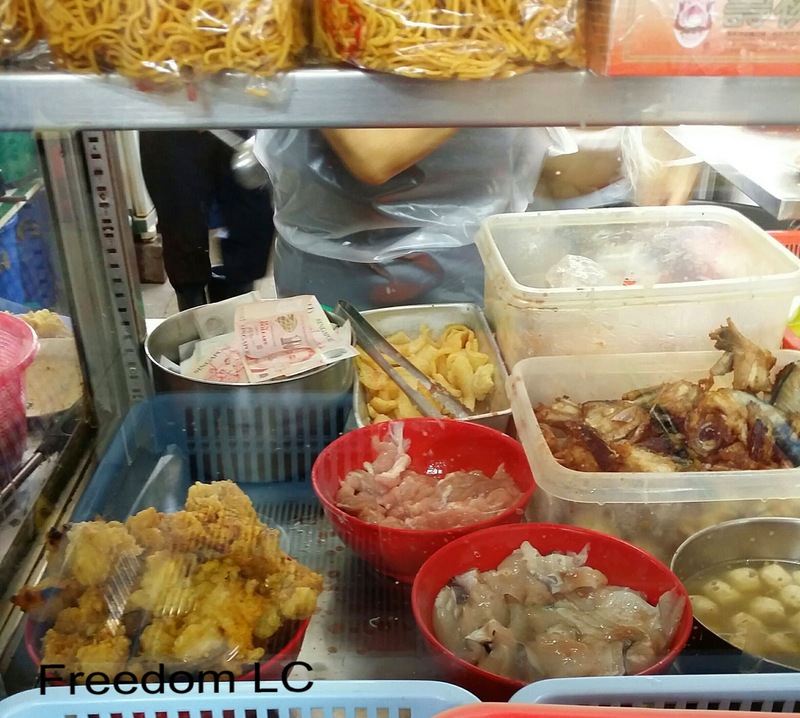 This stall is selling different type of fish soup compare to the other fish soup stalls. 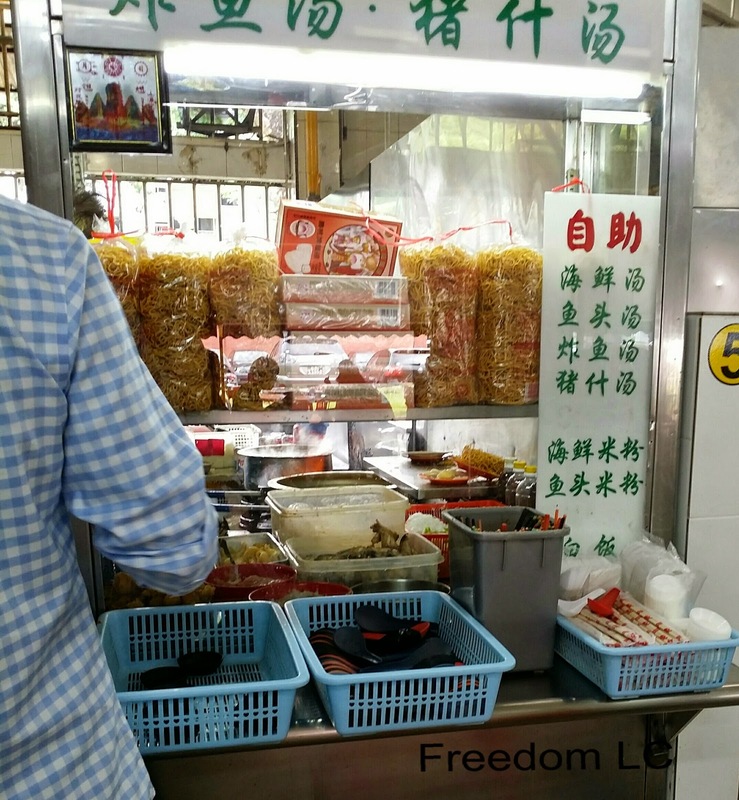 Stall owner includes sliced fish , sliced pork, meatball and pig's skin in their cooking. The stall owner was quite passion with his cooking. You can see him cooking the soup with high temperature even though the stove flame was quite big. Hardly seen any stall owners will cooked their fish soup with high temperature. Chilli sauce was too spicy for me. 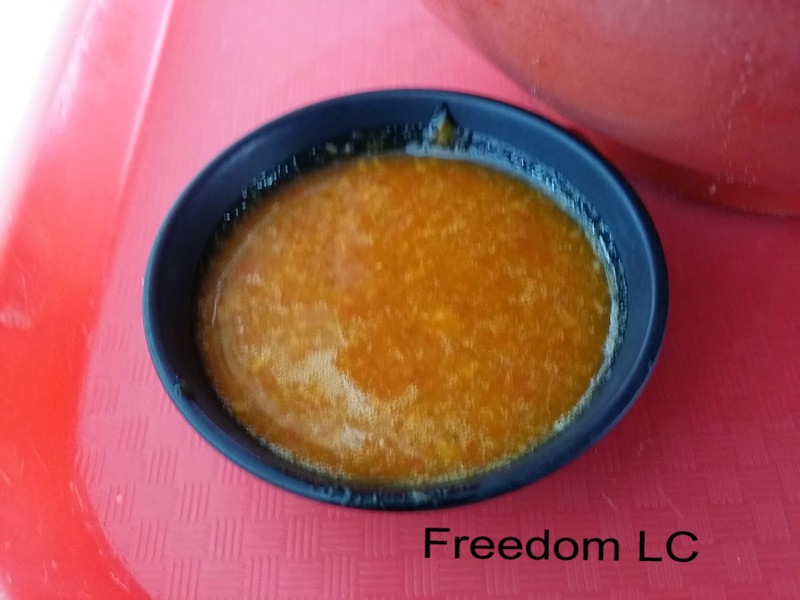 I have ordered this bowl of soup for S$5.00. 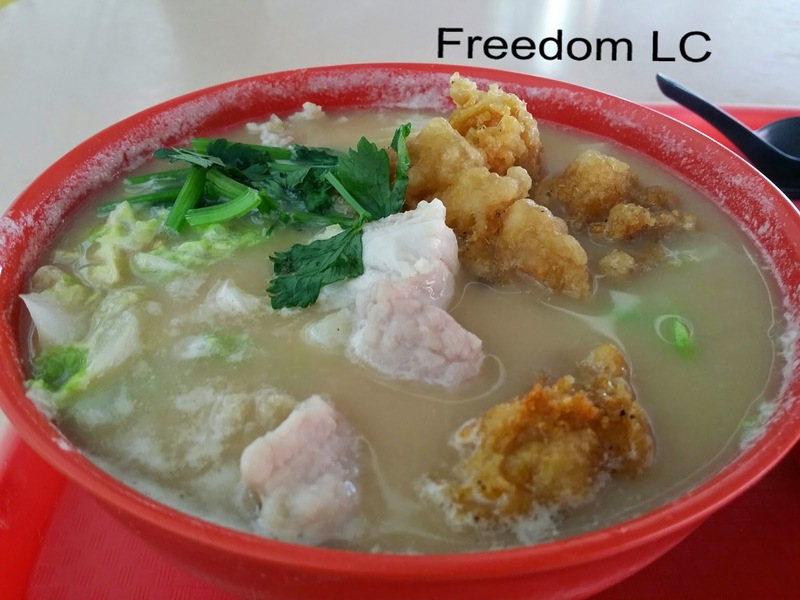 You can choose either S$4.00 or S$5.00 with noodle or plain rice. Beside sliced fish, sliced pork, deep fried fish and meatballs. Stall owner used a lot of cabbage which make the soup tasted really good and savoury. Strongly recommend you to try!